Vitamin D is an example of a nutrient that exhibits many of the mechanisms described above in inhibiting cancer development, particularly in inhibition of proliferation, induction of differentiation, activation of apoptosis, and blocking initiation. Vitamin D and its analogs have been investigated for some time for their anticancer properties in a number of cancers, including colorectal, prostate, breast, and leukemia.9 The classical role of the most bioactive form of vitamin D, 1a,25-dihydroxyvitamin D3 (1a,25(OH)2D3), is to regulate calcium absorption in the intestine, maintain mineral homeostasis in the kidney, and regulate bone remodeling. This function can lead to toxic hypercalcemia when exogenous 1a,25(OH)2D3 is administered in therapeutic doses; therefore, a number of pharmaceutical analogs have been developed that retain their anticancer properties with minimal effects on circulating calcium.71 Many tissues other than those involved with mineral metabolism have specific vitamin D nuclear receptors, suggesting alternative roles for vitamin D. Normal and cancer cells that express vitamin D receptors respond to 1a,25(OH)2D3 by decreasing proliferation and enhancing maturation or differentiation.72 In addition, many cell types, including notably colon cancer cells,73 74 can make 1a,25(OH)2D3, suggesting autocrine/paracrine actions in manipulating cell growth. The anticarcinogenic activity of 1a,25(OH)2D3 appears to be correlated with cellular vitamin D receptor (VDR) levels. VDRs belong to the superfamily of steroid-hormone zinc-finger receptors and share the common characteristic with other members of this family in that they are ligand-activated regulators of gene transcription. VDRs selectively bind 1a,25(OH)2D3 and RXR to form a het-erodimeric complex that interacts with specific DNA sequences known as vitamin D-responsive elements (VDRE) to regulate gene expression. For example, the binding of 1a,25(OH)2D3 to the VDR in intestinal cells activates the transcription of the calcium-binding protein that enhances the absorption of calcium. The VDR is expressed in colon tumor cells,7586 and the density of the vitamin D receptor is increased in hyperplastic polyps and in early stages of tumorigenesis, but declines in late-stage neoplasia.748788 With carcinogen treatment, rats show a decreased number of 1a,25(OH)2D3 binding sites in the colon.89 The level of vitamin D receptor in wild-type, heterozygote, and vitamin D receptor null mice is inversely correlated with proliferating nuclear cell antigen and cyclin D1, markers of cellular proliferation, and positively correlated with 8-hydroxy-2'-deoxyguanosine levels, a marker of oxidative stress in the colon descendens.90 These results implicate genomic 1a,25(OH)2D3 action in prevention of hyperpro-liferation and oxidative DNA damage. The activated receptor recognizes specific vitamin D response elements in a number of vitamin D-regulated genes, including p21WAF1 and the calcium-sensing receptor. 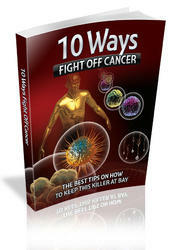 However, vitamin D regulates a number of different proto-oncogenes and tumor suppressor genes related to proliferation and differentiation, including p27KIP1, c-myc, laminin, tenascin, fibronectin, cyclin C, c-fos, c-jun, phospholipase Cy ornithine decarboxylase, and members of the TGF-P family.91 As not all of these genes have vitamin D response element consensus sequences identified in their promoter regions, their regulation is thought to be indirect through regulation of upstream events or even activation of a putative membrane-bound receptor. The VDR also has been postulated to have a role in suppressing initiation of colon carcinogenesis. The VDR has been shown to have high affinity for the secondary bile acid lithocholic acid LCA and its metabolites, which are carcinogenic. 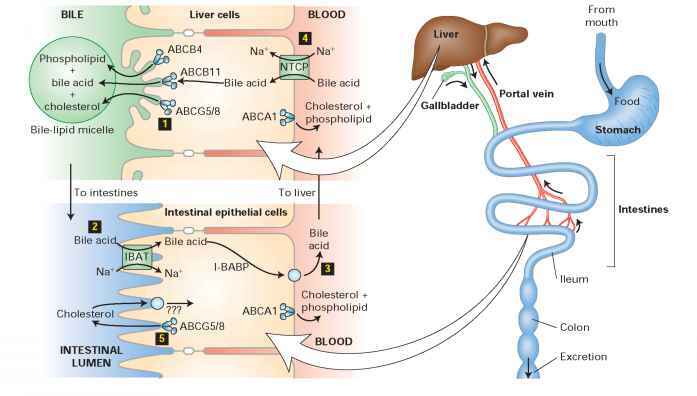 By binding to the vitamin D receptor, both LCA and vitamin D may activate a feed-forward catabolic pathway that increases the expression of CYP3A, a cytochrome P450 enzyme that detoxifies LCA in the liver and intestines to clear LCA from the body.102 This may provide one mechanism to explain how the protective pathway of vitamin D receptor activation may become overwhelmed by high-fat diets (which increase LCA levels) or compromised when vitamin D is deficient with inadequate sun exposure or intake.